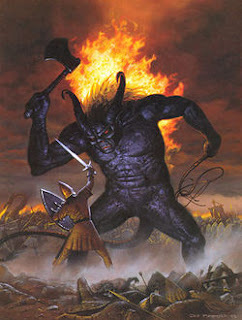 Gothmog was Lord of the Balrogs, who also held the titles of High-captain of Angband, and Marshal of the Host. He had a personal guard of trolls, at least during the Nirnaeth Arnoediad, and his chief weapon was a great black axe. In the aftermath of the Second Battle, the Dagor-nuin-Giliath, he led a force which ambushed and slew Fëanor. He then slew Fingon and captured Húrin during the Fifth Battle, the Nirnaeth Arnoediad; and during the destruction of Gondolin, he slew (and was in turn slain by) Ecthelion (FA 511). 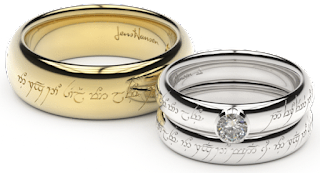 The Quenya counterpart is listed as Kosomoko in The Fall of Gondolin, though some still regard Tolkien’s initial word, Kosomot, to be his Quenya name.